However, when you are ready to choose your deck, it’s about what deck really “speaks” to you. The first deck I owned was actually a used deck I purchased from a local metaphysical bookstore. The pictures were simple and lovely. I was at a point in my life where I felt rejected and holding that used deck made me feel as if we were supposed to go home together. It’s been almost 20 years since that day. I still consult that deck from time to time because it’s always right. I have noticed that it’s developed a rather sage-like attitude and becomes stiff and won’t shuffle for certain questions. Tarot is divided into two sections: Major and Minor Arcana. The Major Arcana starts with The Fool which has no number. “The Fool” represents new beginnings. To grasp the full meaning of “The Fool” we must examine our own card. Most representations of this card are of a Jester or Joker walking joyfully over a cliff. In my deck he is following a butterfly, carrying a bindle with all his possessions, being trailed by a dog and leaving behind a May pole. The journey he is about to take will carry him into the unknown, but if I look much more closely there is a river beneath him with trees, valleys, and villages. New things left to be seen and uncovered. If this card appears inverted (upside down) it represents folly, mistakes, impulse, intoxication, ignorance and recklessness. However, if you look at the picture inverted it may show you that this person is about to have his world turned willy nilly. Plus, remember, The Fool has no number. This may signify that beginnings can occur at ANY time. There is no set pattern. We’d like to believe our lives have order, yet the joke is on us at times. One of my favorite times The Fool has visited a reading was for a girl trying to locate a guy she liked. She’d been calling him and he wasn’t answering. I laid the cards out and in the portion of the spread that represented “current things,” or what I like to call “the hot seat,” sat The Fool. Surrounding The Fool were a lot of cards that had blue in them, also there were several knights and pages. “I think he’s skiing and I believe he’s with his family because there are a lot of kids around.” Of course there was no immediate satisfaction, but a week or so later she called again and said that he indeed had been on a skiing holiday with his family and he was learning on a kiddie slope. Thanks for all of the great info on Tarot, Nunu! I am trying to learn the cards and your posts have been really helpful. I had a reading with you a few months ago. You and your reading were great, but I am still waiting for things to happen (the time line you gave me hasn’t passed yet). One of the things I loved was listening to you shuffle in the background as I asked questions! I know that it is recommended by a lot of experts to start with the Rider-Waite deck, but it really doesn’t do much for me. My first deck was the Legend Arthurian Tarot by Anna-Marie Ferguson. I bought it when I was still in college. Although I was fascinated by Tarot, as an English major I was more interested in the Arthurian theme of the cards. I set them aside when I went to graduate school because I had no time to try to learn them then. Years later, I’m now back to trying learn Tarot. I still find the Legend Arthurian deck beautiful and interesting, but I’ve never had really good readings with these cards. I recently bought the Mystic Dreamer deck, and I have already had some really amazing readings with them. There is just something about the images on the cards that really speak to me. The people in the cards are very realistic (almost photograph quality) but mixed with very fantastic and abstract images. Because I’m learning, I’m going to ask possibly stupid questions. Like you said about your first deck, I’ve noticed that sometimes the cards won’t shuffle when I ask a question. Other times there are jumpers all over the place! What’s that about? Also, is there truth to the rules you mentioned in your post about tarot cards? Thanks for sharing your wisdom, Nunu! 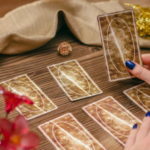 Are Tarot card spreads effective if you try to read for yourself? I have a girlfriend who was raised with Tarot and often reads for herself, which is how I was introduced to it. I have cards that I play with – partly am very drawn to the art and interpretation of the deck (Celtic Dragon Tarot) am wondering if thats a good idea? the Fool for me means,.”expect the unexpected”,. time to take a chance I advise my callers. I have another deck I love called Medicine Cards,. powerful and fun.You can even find your Totem pole. There are several Tarot cards in the major arcana I would to explore in depth here at CP.Its great to get different card,and deck,..perspectives. Yes, Thinkerbelle, these are actually my cards. They are called The Vision Tarot by Tim Thompson. I have read some reviews from people who’ve had issues learning on this deck and I’ve also read where people wouldn’t read any other deck. I am one of the latter. Many people begin with the Rider-Waite, however, a visit to your local metaphysical shop or bookstore may find you falling in love with other decks. Rider-Waite is a great deck to begin with because the interpretations are more universal than some. i do think those online cards can work for some stuff. internet cards might help you evaluate your situation, but probably can’t be as specific as a live reader. i actually have a caller who tells me her internet cards daily. what’s fun for us is to do a spread first, then i reveal what cards i have for her that day. the cards i throw for her issues are usually the very same ones she received in her email. Nunu, are these your Tarot cards. What deck is this? Is this a deck you would suggest learning with? 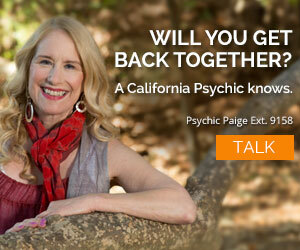 There’s something I’ve been wondering for a while and maybe the psychics will have an answer. 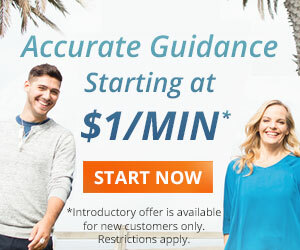 There ar e some sites that claim to read your tarot online…meaning you choose cards or they choose cards for you all on the computer. I’ve tried it (because I’m the curious type:)) and it seems to work but wondering your take on it. p.s. I love The Fool card. To me it is that moment when you say…you know what…I’m just going for it . Fool or Faith…you know? I love this topic, cards can play such an important role in waking up, putting information into categories. When I had my near death experience during the following days there after, I was receiving so much information all at once, so much confusion, and boy can this really mess with ones head. I had a dear friend who was a psychic who suggested that I get some cards, once I did, It didnt take very long until I could receive specific information, my answers were clear,it was’nt like a dam broke my head filling up with baffled information, the cards created a path, clearity, they showed me how to keep information balanced, creating order. I love this topic Thanks Psychic Nunu…. For myself I chose Angel cards in which I only used them for about 6 ms. and then at that point I set them aside, asked to receiving information without the cards, using the cards as validation a conformation to the information that I had received.